Erasmus life in Alicante, Spain – Part 4 ¿Cuáles son tus pasatiempos? Home Experiences Erasmus life in Alicante, Spain – Part 4 ¿Cuáles son tus pasatiempos? 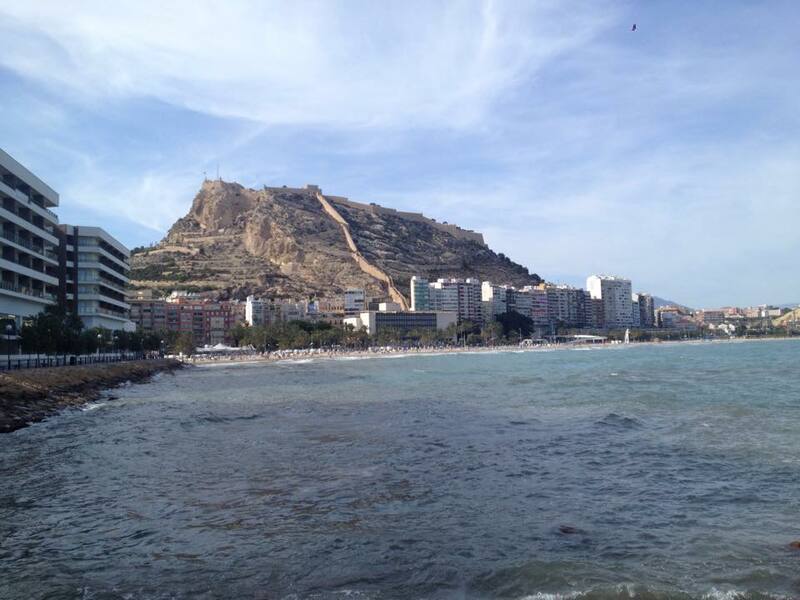 Welcome to the fourth part of a series on my 2014/15 study abroad year in Alicante, Spain. As you may have (hopefully) read in my last post, I talked about one of the most thrilling aspects of our Erasmus year in Alicante – social life. In this post, I am switching my focus to another aspect of Spanish life and culture – leisure time. Now, as you can imagine, the pace of life in Alicante compared to New York is like night and day. I’m used to the days flying by at 100 miles an hour Stateside but in Alicante, things are much more serene. The Spanish lifestyle, particularly on the southern coast, is easy to get used to. It was definitely a factor in our choosing of Alicante. In the last post I spoke at length about our nighttime activities, namely tons of nights out. However, over the course of the year, we made sure to maximise our leisure time. When living abroad for the first time you really do want to maximise every precious second. In a country of such amazing cities and scenery, I think we gave that a good go. The above photo might be a clue as to one of our pastimes, but it’s just one of many pastimes we enjoyed in Alicante. Here they are for your reading (p)leisure. Predictably, I have to start off with the beach. When we first moved to Alicante at the end of August 2014, the weather was simply sensational. It was about 30 Celsius on my first full day and I wondered how in God’s name I would adjust to such temperatures. September was similar and, while October was also warm, things began to cool in November. Fast forward to late March/early April 2015, and the weather became glorious once again. 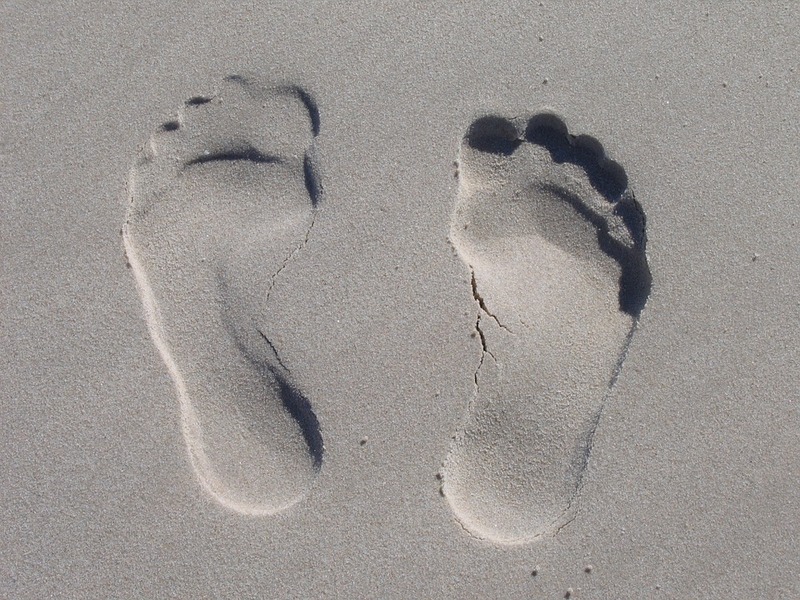 It was a privilege to be able to frequent the beach for most of the year. And boy did we maximise it. There was always a crowd at Playa del Postiguet. People soaking up the sun, playing beach paddle ball, volleyball – it was an epicentre of happiness and relaxation. Some people even did their college work and study on the beach. Did they really get much done? I’m not so sure. I lived about a 20-minute walk to the beach in both semesters. Was proximity to the beach a reason we chose Alicante? Yep, probably 70% of the reason. One of my favourite aspects about Spain is the culture and tradition of different cities. Every city and town has its own identity and uniqueness. It would have been a shame had we not explored what Spain has to offer. Therefore, we embarked upon a series of memorable trips around Spain and even beyond. Some trips we organised ourselves; others with organisations like the ESN. These included Granada, Morocco, Rome, Valencia twice, Mojácar, and Ibiza. One of our trips to Valencia took place in March 2015. 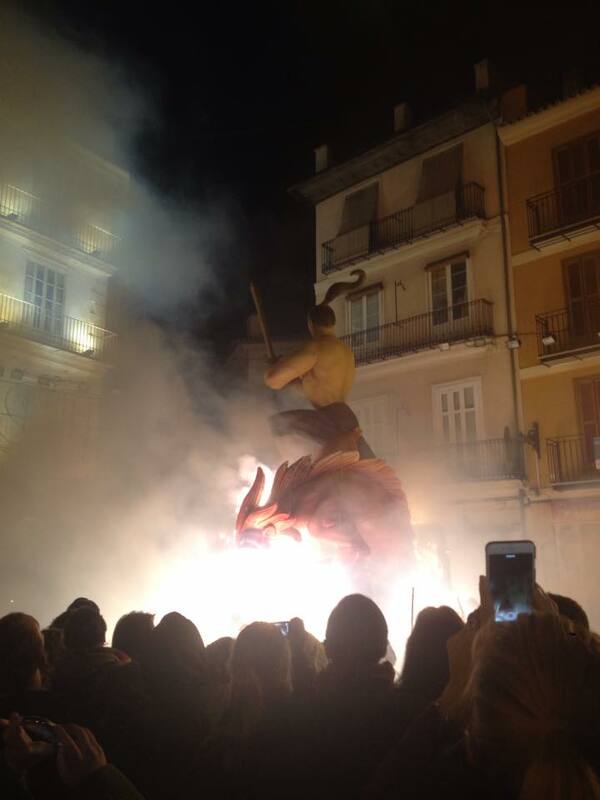 Las Fallas de Valencia is an amazing festival that has to be seen to be believed. Below is a photo detailing one considerably-sized moment from a memorable day and night. Our other trip to Valencia took place earlier in the year, at the end of November 2014. 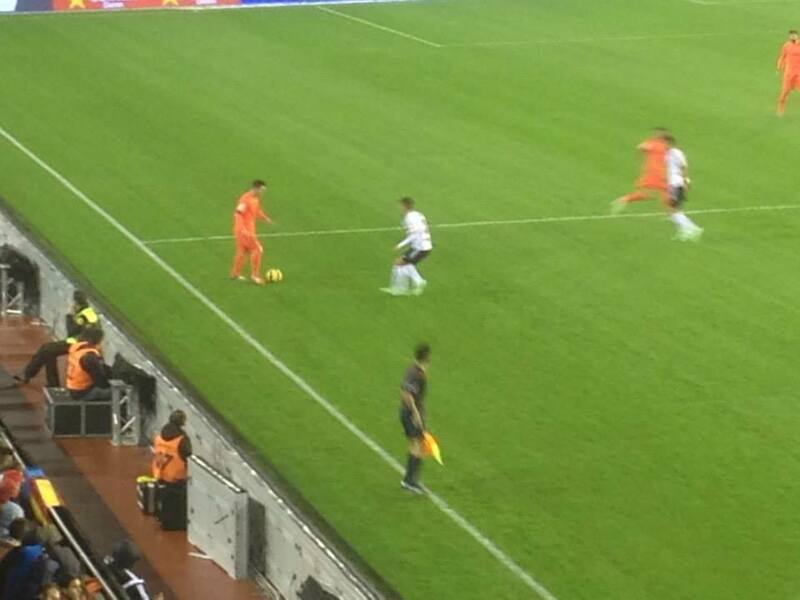 A group of eight of us went to see Valencia play Barcelona at the Mestalla. Arriving in Valencia early that day, it proceeded to rain until shortly before the game. Therefore, we spent the afternoon in an Irish pub watching soccer. Surprise surprise! I think we used Ticketmaster to get tickets but I’m not 100% sure. 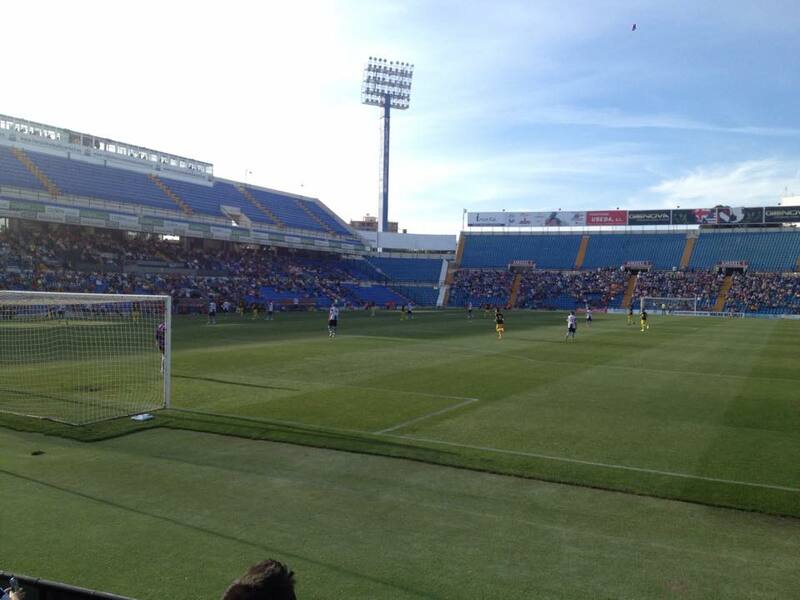 In any case, the tickets were an absolute steal – only 40 euro to see an incredibly high-profile La Liga encounter. The game itself was very good. Valencia squandered so many chances, and it was left to Barcelona’s midfield maestro Sergio Busquets to claim a 0-1 win with a scrappy finish at the end. Alicante also happens to be blessed with a professional soccer team, Hércules CF. As recently as 2011, the club was in the top tier of Spain. Now languishing in the third division, the club is attempting to bounce back from financial issues. An impressive 30,000-capacity stadium lies on the outskirts of Alicante city centre. 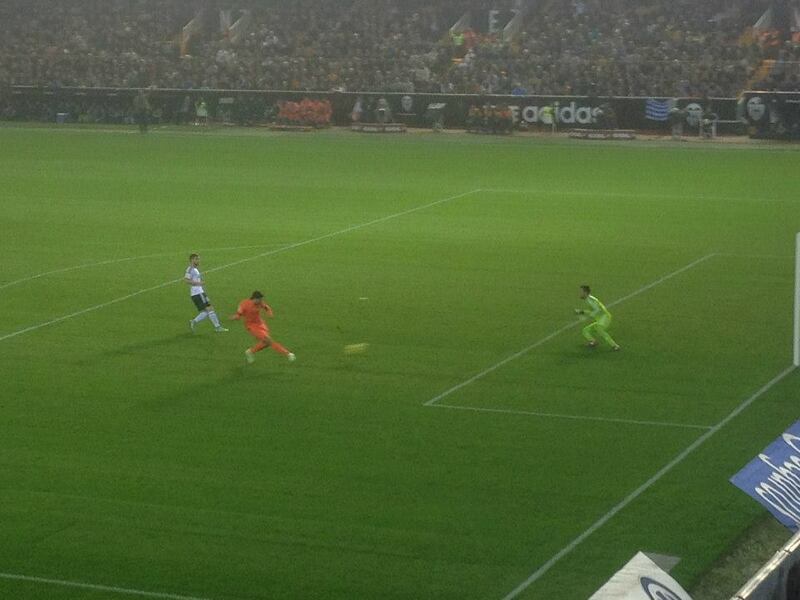 This gave us the perfect opportunity to attend a league game, seeing Hércules defeat Real Zaragoza B 1-0. Anyone who knows me can attest to the fact that I’m quite a big fan of sport. As games like soccer are universally adored, this passion was amplified and satisfied during our year in Spain. Thanks to our landlord in the first semester, we discovered that twice-weekly soccer games took place on a futsal pitch at Mount Benacantil, right alongside Castillo de Santa Bárbara. Every Monday and Thursday evening, a group of international alicantinos would gather for competitive, high-quality soccer games. 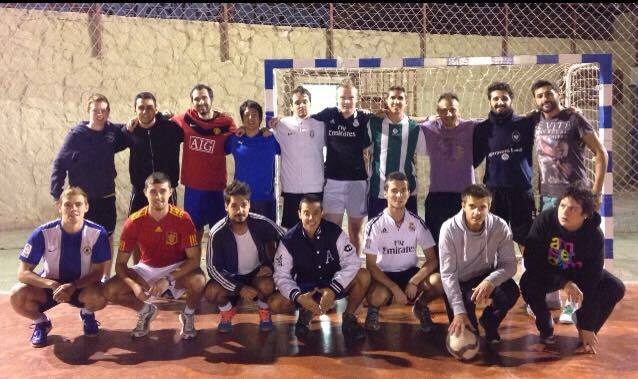 Encompassing nationalities including Irish, Spanish, Italian, Brazilian and French, we looked forward to each and every one of these games. In at-times sweltering temperatures, it was a perfect way to maintain fitness. We also made many great friends thanks to these games. Some of the best players I’ve ever played with or against were involved regularly. A year abroad can bring plenty of unpredictability, but these soccer games were a staple of every week for the whole year. Overall, there were plenty of things to enjoy during any downtime in Alicante. Other possibilities which I haven’t covered include a plethora of museums and lively music scene. However, I think if you were to pursue the activities covered above, you’d have an absolutely splendid time. Feel free to reach out if you have any questions about the points covered above, or about any other leisure activities we enjoyed. In love abroad: is life better in two?